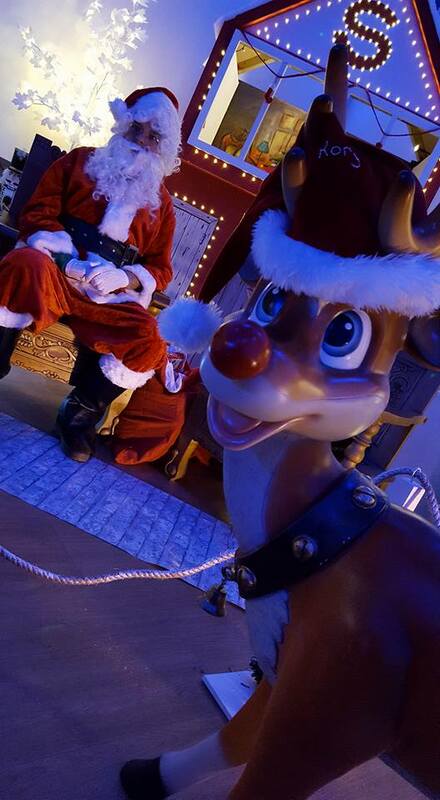 Book your place to see Santa in his grotto within our Winter Wonderland street scene! Places available between 10 am and 5 pm at a cost of £7.50. This includes a one to one with Santa and a gift with a retail value of £5/6 included. Our cafe is open all day so you can relax with a coffee whilst waiting for Santa and your kids can take our Christmas trail quiz to keep them occupied. We are booking ten minute slots for children to see Santa one to one. We would advise that you arrive 20 minutes earlier to ensure you do not miss your spot or be held up by traffic or parking during the busy Christmas period. Simply select a slot for each child below and pay securely online to secure your visit. Once booked you will receive an email ticket for your allocated slot. (Be sure to check your Spam folder if not found in your inbox).